One of the reasons I started reading Ratzinger's book was to beat the 'echo chamber' effect and to understand what the other side thought. When you bring up the atrocities committed by Yahweh in the Old Testament or the creation myth or the global flood, Catholics I have talked to are, in general, all too ready to dump the Old Testament. Read the New Testament, they say as it has overridden the old one. I wanted to know where the Pope stood on this. As I understand, the modern Catholic Church has embraced the fact that much of genesis is nothing more than myth. But other than saying that those texts are not to be taken literally, I have not found much precise information on where it stands on the rest of the texts. Who better to clarify than the (ex) Pope? Ratzinger's interpretation is not a literal one. He insists that "the very essence of biblical faith to be about real historical events. It does not tell stories symbolizing suprahistorical truths, but is based on history, history that took place here on this earth". But unlike some of the evangilical Christians, he does not insist on the literal truth of every word. Instead he insists that the words have "deeper meaning". The pursuit of this deeper meaning is what this book is all about. What this lets Ratzinger do is what I call Bungee Jumping for Jesus, with one rope tethering him to the Old Testament, another to the Synoptics, another to the Johannine Gospel, another to the epistles and yet another to historical scholarship. This lets him interpret the temptation of Jesus as a vision and symbolic of the temptations that we face and insist at the same time that it is all historic. This lets him accept the fact that there are many variant readings in the manuscript traditions yet not be bothered that fact or by the synoptic problem and the implication that Mathew and Luke were redacting Mark and were not independent eye witness accounts. This lets him throw the miracle in Cana under the bus of Dionysian myth but still insist that the Gospel of John is an eyewitness account and a recounting of history, well kind of. All this bungee jumping means we have a new Gospel according to Joseph Ratzinger in our hands. Ratzinger, at one point even asks, "Has this ecclesiastical interpretation and rereading of the event of Jesus' Baptism taken us too far away from the Bible?" (pp 20). The Bible is choke full of number symbolism. We encounter twelve disciples, fourteen generations, three repetitions and so on. Ratzinger is not beyond waving away embarrassing numerological references. "The Fathers of the Church, stretching number symbolism in an admittedly slightly playful way, regarded forty as a cosmic number, as the numerical sign for this world. The four "corners" encompass the whole world, and ten is the number of the commandments. The number of the cosmos multiplied by the number of commandments becomes a symbolic statement about the history of this world as a whole." (pp 29) Very "playful", indeed. Why would Mark exaggerate, indeed? 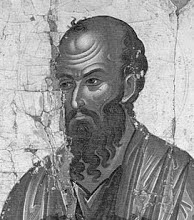 Biblical scholarship has long come to consider the Johannine Gospel as a the last of Cannonical Gospels to be written and the farthest removed from history. Ratzinger makes short work of this claim. Ratzinger must be referring to the fragment called Rylands Library Papyrus or P52. 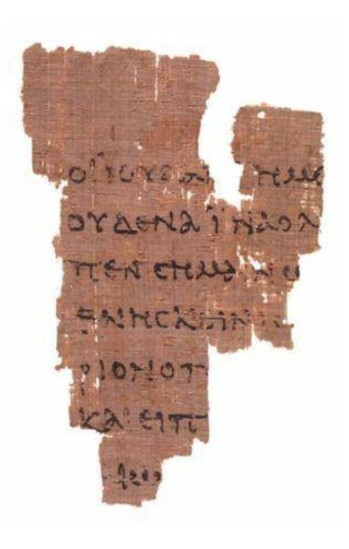 It is a tiny tiny fragment and consists of a total of thirteen words. The dating is based on paleography which is not very accurate. At best, it is from the first half of the second century. This does not tell us what stage of redaction this fragment is from. We would not want the entire Gospel to be emptied of meaning would we? So we do some scholarly kung fu which soon bears fruits. We see Ratzinger indulging in the "possibly, therefore probably" fallacy. A couple of back flips and references to Church fathers like Eusebius and Papias (who are discredited enough that Ratzinger must know better than to take their word for evidence), we soon converge in on the conclusion "that the contents of the Gospel go back to the disciple whom Jesus (especially) loved" and that "the author of the Gospel of John is, as it were, the literary executor of the favorite disciple." The conclusions one can arrive at are quite anti-climatic, if one starts by stating that one "trust(s) the Gospels"! After reading two chapters, I jumped to the chapter on the Johannine Gospel. And with that I have had enough. If you are mystically minded or interested in finding out what the vicar of Christ smokes, this book is for you. If not, move on!